This 27-hole layout is routed through rolling terrain, with distant panoramic views of world renowned Pattaya Beach and the Gulf of Thailand. 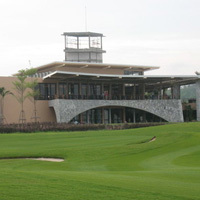 Formerly a tapioca and pineapple plantation, the property’s geological and natural characteristics include rugged ravines bisecting its Paspalum fairways and mature trees augmented by landscape ground cover and plantings. The Plantation Course also features significant elevation changes that result in several breathtaking views of the beaches of Pattaya and the Gulf of Thailand approximately seven miles away. The Siam Country Club Plantation Course is simply an amazing golf course; as the course plays as difficult as any golf course in Thailand. Nothing was spared by designer Lee Schmidt!